Unless you hold a chemistry degree shopping for skincare can be confusing. Consumer labeling standards have at least helped to clarify what is actually in each mysterious bottle of lotion or potion. You can always check the ingredients panel to try and discern if the sales pitch matches the pith of the product, but even this area is a place that manufacturers play games. They know many shoppers will breeze past grand claims of transformation and head straight to see what active ingredients are included in the nitty gritty, detailed list. Some legal standards apply, but there's still plenty of room to manipulate. The ingredients list can both reveal and conceal. In many cases the ingredients list itself is a smokescreen, obscuring that most skincare products don't have optimal, effective concentrations of the ingredients they claim are in each bottle. 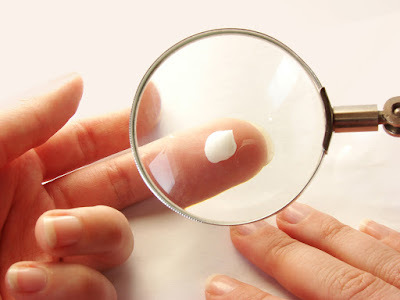 The reality is when you buy most drugstore and even many department store skincare products what you're buying is mostly emulsifiers, solvents, and water even when trendy actives appear in the ingredients list. The skincare and cosmetics industry is largely powered by marketing. Most companies spend far more on their promotion, advertising, and the perfect sales pitch than they do on the actual ingredients in the product they are selling to you. 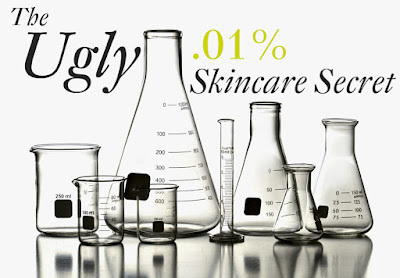 They capitalize on vanity, fear, and the customers’ lack of knowledge about chemistry. They prey on the fact that many people will pay dearly and believe marketing pitches that sound more like fairy stories than like chemistry. While I love a good fantasy tale I'm not looking for one in my facial products. Stories of rare and exotic ingredients create fervor and a mystic quality to a cream or serum… Sadly the story is often all they are actually selling, as the product inside is but a pale shadow of what is advertised. One of the ugliest, dirtiest secrets of the skincare world is that mass market formulators are actually *taught* how to basically defraud customers in designing recipes. 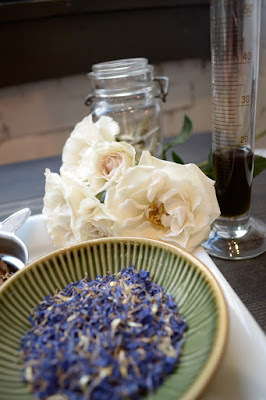 Experts teach how to use the minimum quantity of an herbal or "active" ingredient in a formulation just to be able to put that ingredient on the label for marketing purposes. That means that even though you may see "Coenzyme Q10" or a list of fancy extracts on the label the dilution is taken so far as to render them completely ineffective. In chemistry and biology it often takes an optimal concentration of a compound before any noticeable effect is achieved, so this deliberate limiting of actives strips all the benefits from products. Well, at least all the benefits to the client’s skin. The cost savings from putting in the minimum of actives means bigger profit margins for brand owners. Actives are often the most expensive part of a recipe and also the most desirable to clients because of their benefits. If a product appears to have valuable actives in it then it will command a higher price and likely sell better, especially if the active ingredient is trendy. The combination of higher retail price and lower production cost is a set of practical, profitable business assets that many company owners find it hard to ignore. When profits are more important than people many ugly decisions are made in the name of “beauty”. Sometimes the skincare entrepreneur doesn't even know the optimal concentrations of ingredients. The prevalence of contract packaging firms means many beauty company owners are far removed from the actual design of their recipes. It's really rare that the company owner is actually the chemist. Generally a chemistry buff and a marketing brain don't exist simultaneously in the same skull. The beauty entrepreneur may select a base emulsion and then instruct the contract manufacturer to add several botanicals or extracts because they know those ingredients are "hot", but they've never actually researched what concentrations will provide true benefits. The disconnect in this situation is immense, and only serves to create further confusion for customers. ** increase the solvent concentration and reduce the active ingredients concentration to reduce the costs: water concentration in water based products MINERAL OIL or PG in non-aqueous product"
This is the reality of the majority of products available through mass market sales venues. Promises are peddled and broken on a daily basis, with profits continuing to flow into the pockets of duplicitous companies. 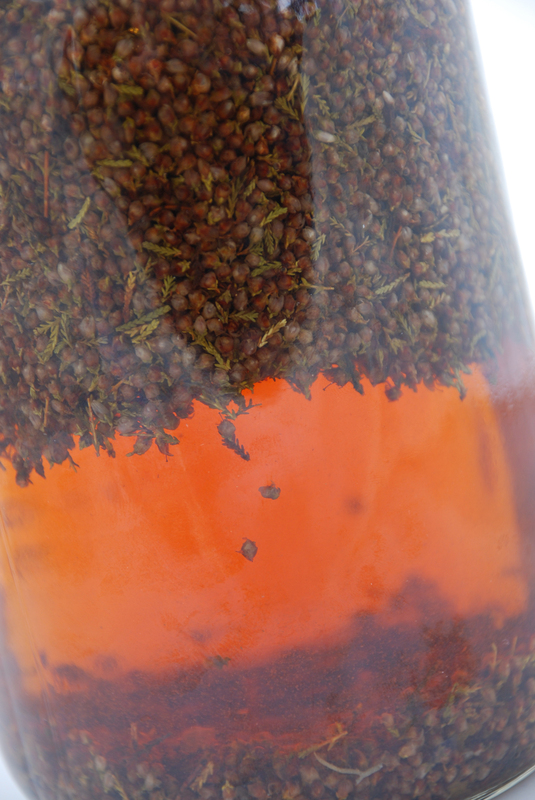 In addition filler ingredients are not "neutral" for many people. Many will likely cause skin irritation for many customers, prompting the inflammation, acne, and other problems the item was purchased to fix. Silicones often cause breakouts as they form a film over pores. Petroleum fillers and synthetic emulsifiers can confuse and clog skin, damaging its protective barrier and microbiome. And water? You can get that from the tap for free. That is why the staff of Blissoma gets up every single day to make potent, authentically plant-based skincare. We don't put in the minimum of active ingredients. We put in the maximum. Every single recipe is absolutely packed to a point where we can't even fit anymore extracts, healing oils, and vitamins in without the emulsion coming apart or actives not staying in solution. Our potency is why our products heal, brighten, firm, hydrate and truly rejuvenate skin. Our potency is egalitarian. We pack in the actives because we believe everyone deserves to feel and look their very best. Good skin nutrition is key to achieving that end. Nutrients yield results so we make sure that our products are like a gourmet, whole food, herbal supplement for your skin. We’re gorgeously genuine and radically respectful of our clients. We don’t tell slick stories. We just want you to have a real daily romance with powerful plants. 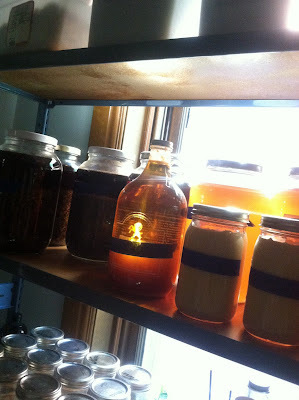 In our new store opening Fall 2015 in St. Louis we’ll be able to proudly show people our uniquely concentrated herbs extracting in jars, the pure, nutritious seed oils awaiting blending, and all the other healing ingredients we keep on hand. Our production area will be available to view so clients can get an intimate peek at what we do each day to earn your trust. Blissoma’s “put in the maximum” philosophy will be on display every day. Don’t be sucked in by the .01% secret. You are more than a number, more than a profit margin to the team at Blissoma. Get into a real relationship with your skincare brand and make sure you’re getting the actives and the results you deserve.